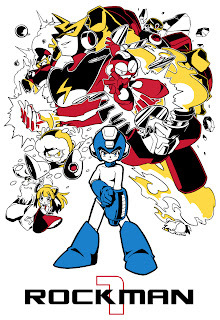 I want a Megaman game in this style. I don't think we should mention Gurren Lagann. Nice Rock and Blues. The positioning reminds me of one of my favourite pieces from R20. Really cool! Those should be made into t-shirts! I'd buy them! I'd love to see a Gainax-produced Megaman anime. Perhaps when the planets are in alignment. Great, you just made me imagine Roll with Gainax chest. Those are incredible! 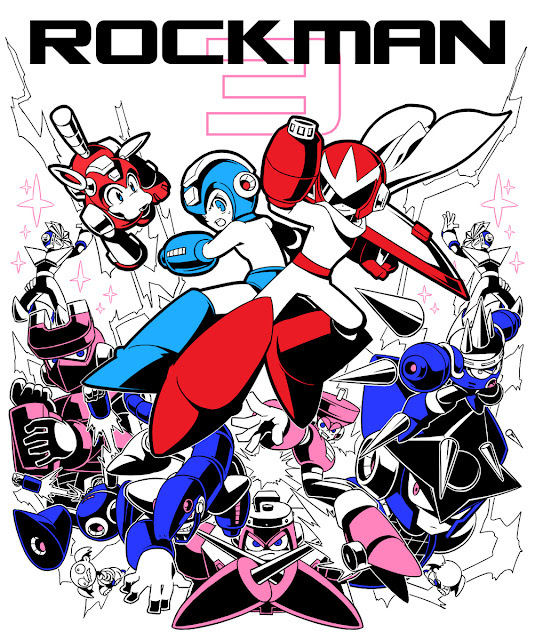 I hope he does the rest of the classic series or at least does more Rockman tribute art. 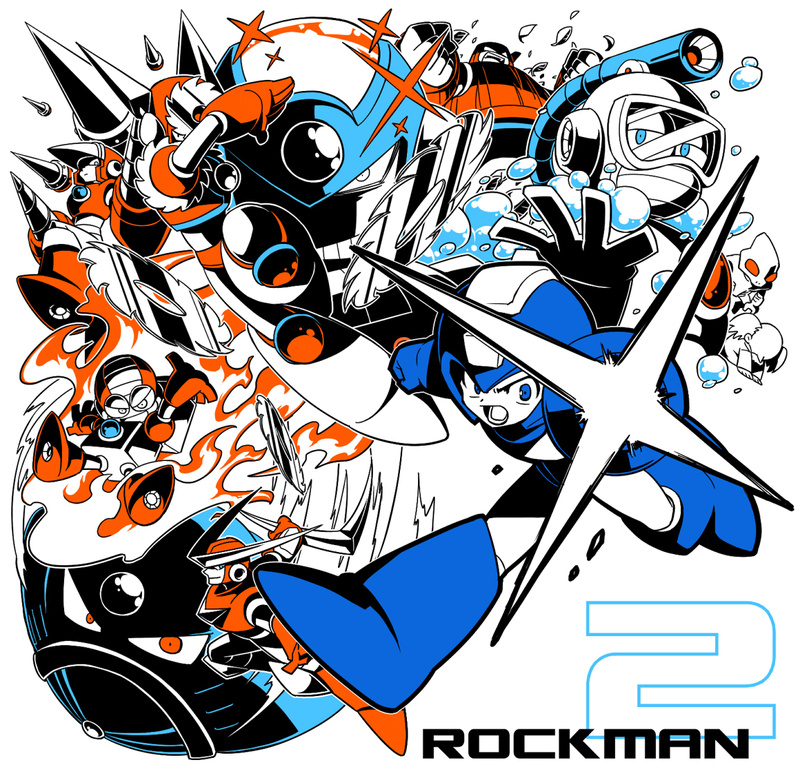 VERY reminiscent of the eye-catch art from Gurren Lagann! ... Oh God... The mash-up envoked is uncontainable in one mind! Now here is a tribute that rocks. Pierce the heavens with your Drill, man!